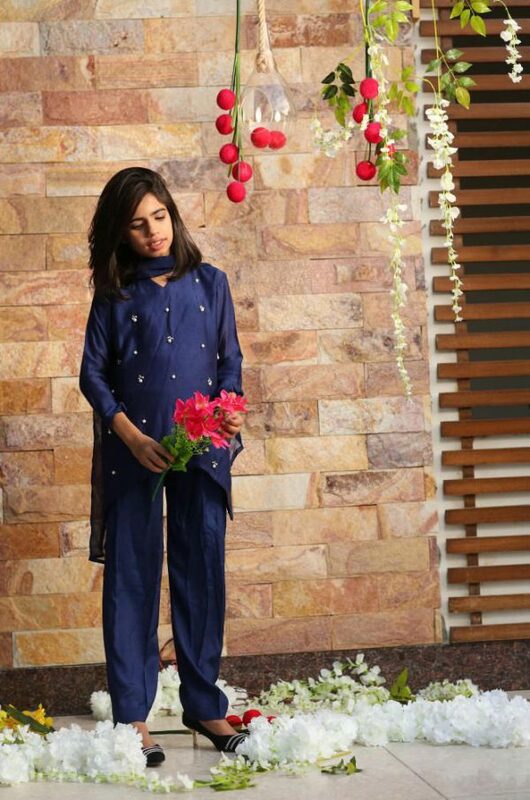 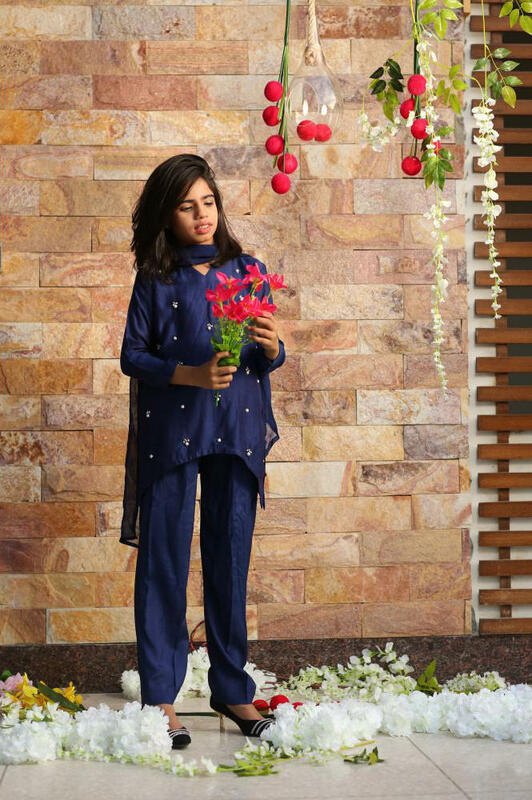 Add a fresh hit of hues to your young girls summer style.Double up in the style stakes with a fantastic blue outfit from our “Children Collection”. 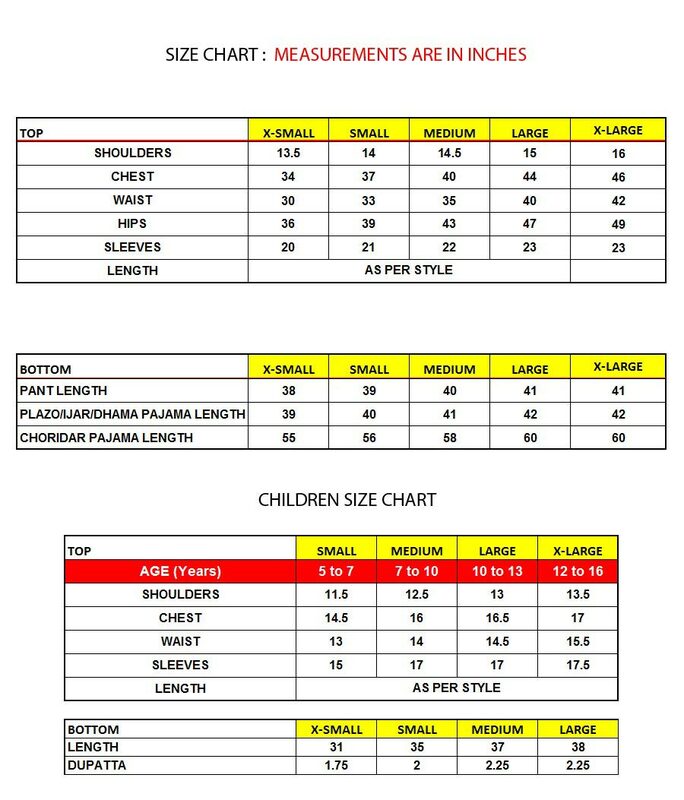 Keep your kids look funky & trendy this summer season. 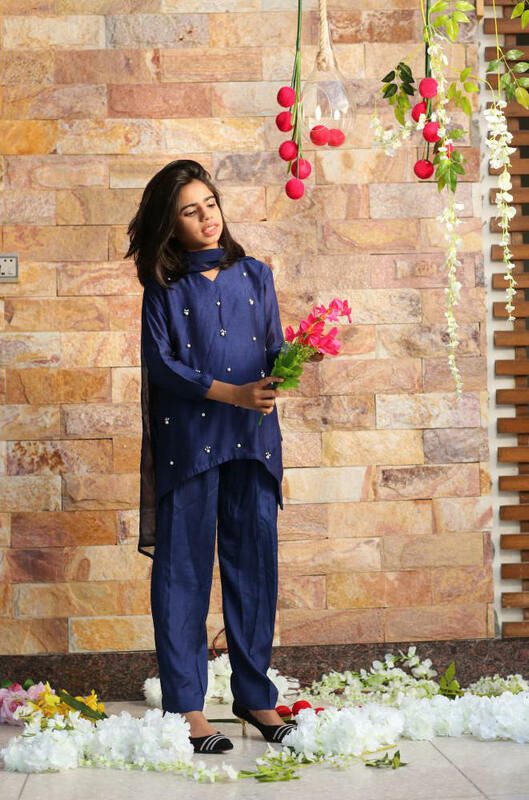 The shirt features stunning hand work with trendy stitching pattern. 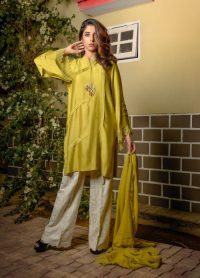 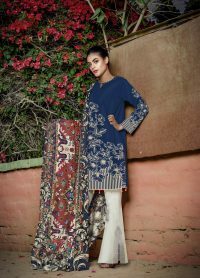 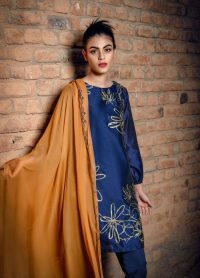 Comes with viscose duppata and china silk bottom. Order now and match her little personality with style!